Although there are a variety of composers whose sensibilities are reflected in the repertoire of Audrey Silver’s second album, including several songs written by the vocalist, herself, the outstanding item remains Bill Evans’ iconic song Very Early, which gives the album its title. Silver revels in the rapturous lyricism of the great pianist almost as if the song was written – by some magical connection across the spirit world – with her voice in mind. Of course the rest of the material on the album is also splendidly sung by the charismatic singer whose lyric poetry is reminiscent of Joni Mitchell’s not the least because of its broken lines, irregular rhyming, complex changes and a certain wry, almost bitter sensibility that Mitchell brought even to her most romantic work. The bleak narrative of “The Cold Wind’s Embrace,” enhanced by Alex Pope Norris’ high and lonesome trumpet makes for some of the most telling moments in the song. Moreover, Silver changes the colors of songs such as “Getting to Know You” from major to minor keys and this heightens her penchant for bringing a certain Miles Davis-like sardonicism to her music. Against the backdrop of this dramatically different and enigmatic sound world, adorned by Gary Versace’s old-worldly accordion, the gleaming, gem-like resonating of Tom Beckham’s vibes, the sounds and silences of Ron Affif’s willowy guitar and the gentle egging on of the vocalist by pianist Bruce Barth, Silver’s sensuous contralto soars and dips, hinting at great truths always just out of reach. Throughout the performance, Audrey Silver paints the songs descriptive pictures with a palette of moody colors. The singer lives the music through extraordinary vocalastics often explored at slow speeds inviting a degree of indulgent empathy that weighs down the music with just the right amount of zest (when the song calls for it) and weightiness. “Jardin D’Hiver,” a song first made classic by the great French vocalist Henri Salvador and later by Stacey Kent and the Canadian, Emilie-Claire Barlow is paced more skillfully than appears, more vivid, and Silver’s luminous voice quality has ecstasy within its reach as she turns on the tap of profound vocal beauty. By now it becomes patently obvious that we are being confronted by a star of immense brightness. Mose Allison’s blues-drenched “What’s With You” provides a nice change of pace for Audrey Silver and also highlights the rocking rhythm section that features Paul Beaudry on bass and the legendary Lewis Nash on drums. Silver draws the most sympathetic performance, however, from Alex Pope Norris, a presence, it would seem, that is almost divinely inspired. The trumpeter’s eloquence combined with Silver’s voice makes a case for marking this album as one of the best vocal albums of 2016. This is also an album that is excellently orchestrated and produced, one that has been produced with rapt attention to detail by Steven Santoro, a vocalist, pianist and producer who learned from one of the best in the business – Ahmet Ertegun. But all said and done, it is Audrey Silver that holds sway and her performance begs recognition for an emerging vocalist for whom the sky’s the limit. 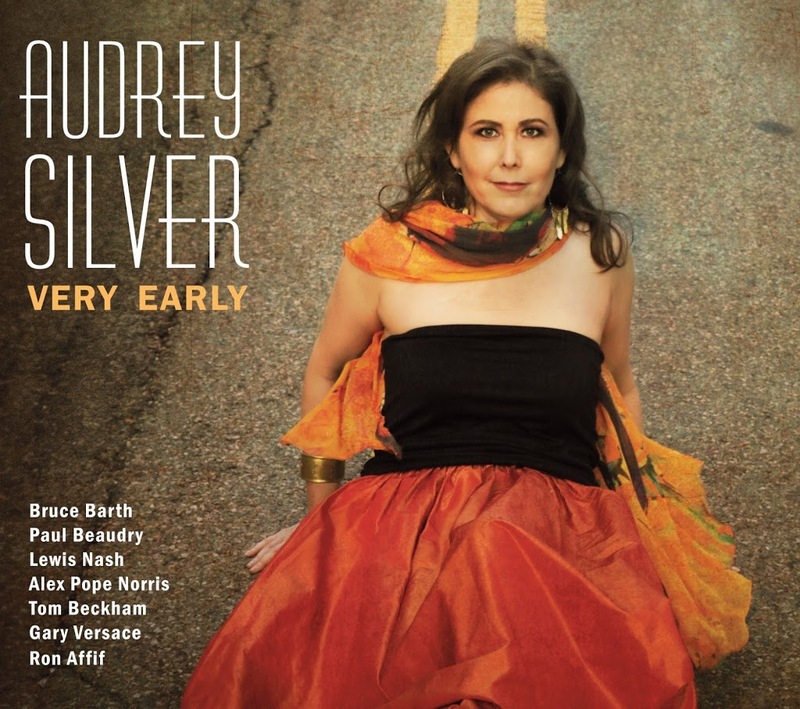 Be the first to comment on "Audrey Silver | Very Early"